Writers have always wanted to get closer to the real, to how life feels, to how it is to be alive, to what the world means. And the self has long been a barometer, a record, a storehouse of events, a practice ground for writing, and a commentary on it. Modernists like Woolf wrote psychological poems more than novels. One of her most brilliant prose pieces, ‘Time Passes’ in To the Lighthouse is eyeless, has no single point of view, no character or narrator. The only I/eye is the stroke of the lighthouse. ‘Time passes’, the middle section of the book, is a single stroke, a line which holds the design together, a painterly aesthetic. Between the Acts, her last novel, is written as if we are listening to a documentary recording, as if a microphone were set up in the house, the barn, and on the grass. We overhear voices and silence. Pageant language (there is a pageant going on in a village green) bleeds into ordinary speech happening offstage words are most often citations of someone else, have back stories, other lives. Yet literary academics, often as not, warn us ominously about the dangers of the real. For Shields, the real is that which assumes the first person across a wide range of media forms and often blurs the distinction between non-fiction and fiction. The reality phenomenon in its current phase is that which is taken to be reality – memoir, fabricated memoir, documentary, multiple forms of reality television, cable news, celebrity culture, Facebook pages – and which increasingly includes features of the unreal, the fictional, and that we are drawn to that melange of forms, live increasingly inside that paradox. That we is not some risible middle class which we dislike or detest, but a part of ourselves. Wouldn’t it be more interesting to see what the power of the real has to say to the novel form; how the rise of the reality phenomenon in its particularity, offers us a chance, again, to think about what the novel does and how? David Shields has something to say about this in his book Reality Hunger. Shields want us to break larger and larger chunks of reality into the traditional terrain of the fictional. Much like Woolf, he describes himself as at once desperate for authenticity and in love with artifice. The novel, he says, has come to feel, in some of its current manifestations (think of Jonathan Franzen’s Freedom) a huge, elaborate, overbuilt stage set. It has a certain laboriousness. (On the other hand, The Discomfort Zone is very much aligned with what Shields is describing – as an autobiographical form interspersed with fictional pieces. )The modernist novel eventually became too purified of its mixed origins, (drawing in as it did in the beginning, bits of realist documentary, history, geography, some barely disguised autobiography). Perhaps the obsession with Sebald a few years back, Shields suggests, was because of his post-modernist return to the roots of the novel, ambiguously straddling verifiable and imaginary facts, a tightrope walk along newspaper reports, photographs and poetic visions (think of Sebald’s wonderful novel Austerlitz). Always, and now, thinks Shields, the argument has been over what becomes permissible as literature; and so also with something he calls a ‘hunger for reality’. The question he thinks we are most interested in now is less fiction’s question – ‘What if this happened?’ – and more non-fiction’s offer: ‘This may have happened’. Isn’t that a challenge for fiction, a moment from which to rethink its power and potential? I think Shields is right that we are again in a cultural moment in which other forms of media and aesthetic work seem to be onto something closer to the culture at large – being artfully self-reflective about that which is unartful/almost artless: about raw material, the seemingly unprocessed, unfiltered, uncensored and unprofessional, randomness, openness to accident, emotional urgency and intensity, reader/viewer participation, an overly literal tone, as if a reporter were viewing a strange culture. Many forms seem to be moving towards an art that is based quite closely on what he thinks of as a documentary intelligence, an author who becomes in part a curator or creative editor. It’s happened before, but its indices are different, its technologies revolutionary. Perhaps it is time to be less defensive about the incursion of the almost artless, what we might loosely term the real, and use them as opportunities for thinking. We live in a culture now of non-experts, a more democratic cultural space. Most writers, and even more readers, inhabit sites like Facebook and My Space, and it’s worth trying to articulate what these sites do, as forms of writing. They are crude personal essay machines. They are usually too unsophisticated to be art but too self-conscious to be mere reportage. Everyone gets a channel. Reader and writer become almost interchangeable. Reality shows are a hybrid form drawing on documentaries, game shows and soaps – the producers blur the lines between these genres, take what works and discard the rest. They try to convey something that a more manifestly scripted and plotted show couldn’t. It is not that we want to relinquish the crafted form of the novel (especially in its shorter manifestations) but that we want to start thinking again about a culture’s changing relationship to the ‘scripted and the plotted’ as aesthetic form. Shields finds himself less inclined to sign than to design, to create with found objects, to read the culture around him and rework it. Copyright laws stunt what art now needs to do. We legislate after the fact. Shields re-uses Woolf, and many others, as found objects whose echoes we hear when we read. Woolf’s prose act Between the Acts has had mountains of footnotes added by editors, to try to explain the multiple intertexts operating in a single phrase of her writing. Woolf of course wrote as she did so that readers might or might not hear the echoes she herself heard as she wrote. Shields suggests that we are working with a great deal of historical debris, bits and pieces of texts and that we should relieve ourselves of citing all our sources, and rely on a collage-effect, a sampling effect, in which different people will hear different repertoires. In a Bruno Latourian turn, which of course he doesn’t cite, Shields is drawn to the ‘anti-Promethean’ dimensions of a culture which is now based on sustainability, on reusing and redesigning what we have, instead of founding, and colonizing and mastering. Whereas design used to mean, in its modernists sense, adding a veneer of form, Latour thinks that we should think of the notion of design as replacing an older set of subject-object relations, calling into our vision rather a set of things, which, far from being matter or fact, are where meaning, and form, and capacity resides. The issue of citation is complicated and unresolved, but Shields is forcing us to ask a question about changing conditions of authority and intertext. Shields also gets us to think about texts not only in relation to visual culture but more specifically in relation to screens. Value has shifted away from a copy (from Benjamin’s famous essay ‘Art in the Age of Mechanical Reproduction) ) – what becomes interesting rather is the way copies of a creative work can be linked, manipulated, tagged, highlighted, bookmarked, translated, enlivened by other media, and sewn together: a clash between the conventions of the book and the protocols of the screen. In 2008, more votes were cast for American Idol than for Barack Obama for president: 97 million for American Idol and 70 million for Obama. In these kinds of scenarios, we need to think about texts in relation to screens, since so many more things, including culture and power, work across screens these days. Arjun Appadurai, speaking in Johannesburg last year, calls them image-devices. The screen is an image-device which is deeply complex and profoundly useful to capital: it produces images, information and surveillance. Adjacent data. On the screen, appearance is reality. If we occupy these interfaces every day, we are less and less spectators, we are inside the images. We have to read them, but no longer from the position of distance, from the outside. We need a form of critical intimacy, a way of reading surfaces, from inside of them in rubrics other than the hermeneutics of suspicion and ideological critique that the political unconscious and the Cold War once taught us to assume. Literary academics are fearful of this, defensive and angry. Yet the moment requires that we think hard and fast about how we read, how we might read now, and what sorts of things happen to texts, sometimes incrementally, slowly, while we are hardly looking, as our wider cultural context undergoes moments of ferment and change. It is not that we lose a longing for literariness. It is not that reading in the old way has become redundant. It is that we read across many more repertoires than we used to. And that this is changing what the literary can become in ways we don’t often bother to think about. All of this may be too North-American based based for those of us working from other locations, especially in the South. Perhaps one could think rather of living in the ruins of earlier metanarratives – colonialism, anti-colonialism, non-alignment, third-worldism, and so on. Isabel Hofmeyr and I and others working at Wits have been in conversation about ‘Wreckages of Utopia’ as productive aftermaths of something else, often producing registers of the bizarre, the strange and the ironic. Out of those ruins, one finds bit and pieces, moments of what Abbas, drawing on Benjamin, calls messianic time, things from which one can build something else, something which makes a new combination out of older shards of other discourses. Watching the video installations of finalists at Spier Contemporary last year, I noticed, with some surprise, the degree to which these works revealed a new interest in the non-event. In several of them, activities take place, energy is expended, but they are not driven by a narrative, or not a narrative that relies, at least, on a past and a future. This is significant in a country which has been so event-laden. And, in one installation in particular, a mixture of retro-style dubbing and karaoke voices: a camera holds steady and close on Julius Malema’s face. He talks but his voice is dubbed, badly dubbed. 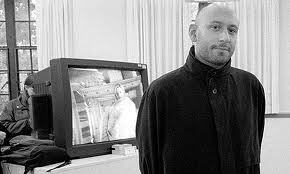 The actual voice we hear is that of Stuart Hall, black British theorist of race and culture. Malema, we know, is talking the language of an assertive black nationalism and populism. Hall is saying that race is like a language, its meanings are relational and not essential, that it is subject to redefinition and re-appropriation. Despite its trail of blood and violence, Hall avers, it is a signifier, an empty sign, not fixed in its inner nature. Using dubbing, substituting one voice with another and karaoke, we resort to a junkspace in which we empty Malema out and fill him up, wresting the words from his mouths, turning them into objects of satire by unfixing their authority, emptying them out and filling them up, spinning them into webs of karaoke voices. Sifiso Mzobe, author of Young Blood, said in KZN at Time of the Writer the other day: ‘I’m in love with words, with writing – with this vision or delusion that in this world you can still invent’. It’s interesting – that his love of words is already matched, in his mind, with an inbuilt question about the capacity to invent and the possibility that it might not happen, at least in the old way. It’s an expression of possibility and doubt that seems very much of his time now. Not sure anyone would have said that in this country, setting out as a writer, ten years ago? And Penny Siopis, in a recent interview: ‘the language of alterity is exhausted. It is partly in depthlessness that something of the opportunity lies for the new’. Our language, our feelings about writing and ideas are already changing, right under our noses. I have been working, for the last while, more closely with visual culture than with novels. But a conversation about what might be happening and what could happen to the novel form, in the terms set out above, would be worthwhile, I think. What could a conversation look like, from here – about texts, surfaces, things and image-devices? What is happening to the surface in South African art/media? I don’t know. Yet. 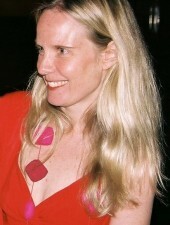 Sarah Nuttall is Research Professor in English at the University of Stellenbosch. She worked for ten years at WISER (Wits Institute for Social and Economic Research) in Johannesburg. She is the author of Entanglement: Literary and Cultural Reflections on Post-Apartheid and co-editor most recently of Load Shedding: Writing On and Over the Edge of South Africa and Johannesburg – The Elusive Metropolis.